Receive iOS notifications on your Mac. Is there a better alternative to Notifyr? 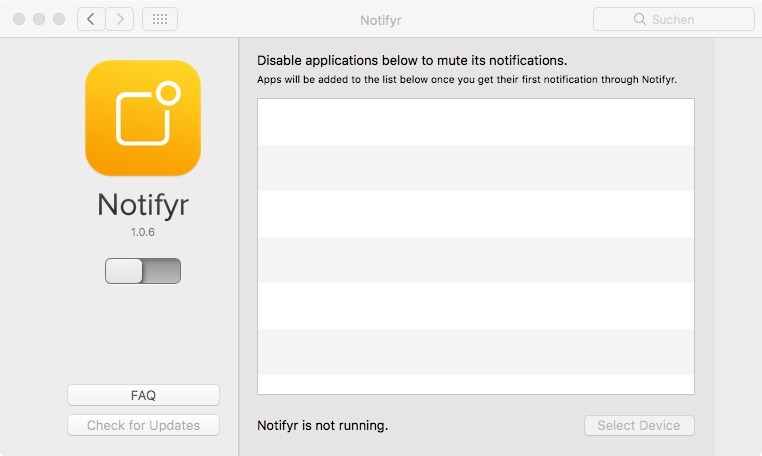 Is Notifyr really the best app in Lifestyles category? Will Notifyr work good on macOS 10.13.4? Notifyr lets you keep your phone in your pocket and still know what’s going on. Stay up-to-date on your incoming WhatsApp messages, know when someone's calling you, or read any of the other notifications from any app on your iPhone. And to prevent confusion, you can mute apps so you won't receive notifications from apps that are also running on your Mac. When you walk away from your Mac, Notifyr disconnects from the system, and automatically reconnects whenever you are in range. And because Notifyr uses Bluetooth Low Energy, you can keep using Notifyr all day without it draining your battery. Notifyr needs a rating. Be the first to rate this app and get the discussion started! If you have any doubts about compatibility, downloading the Notifyr preference panel from the Download link above will let you know if it won't work with your system. You'll also need Notifyr for your iPhone 4S or later, which you can purchase from the iTunes App Store for $3.99.